Primrose hoiday cottage in Suffolk, a true English cottage. 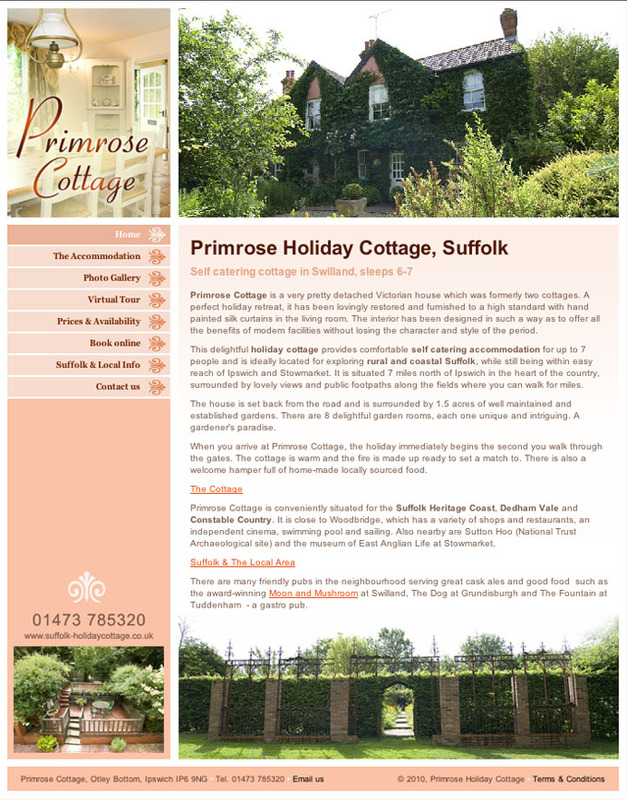 The client was keen to develop her own website so that she could independently market her holiday cottage in Suffolk. We had a fairly free hand in the visual design, which met with a good reception so we proceeded with building the website and integrated it with the booking system. We did some research and sourced some photos for the information page. After the site was live we also carried out some backlinking work. Recently the client let the cottage on a more permanent rental and the website was no longer required. We have retained the domain for possible future sale.